Kitchen remodels are the most popular remodeling projects. They are also often the most expensive. When planning one of these remodels, it is important to compare options and find the most reliable remodeling contractors. 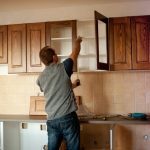 Homeowners may consider using any of the following methods to find the best kitchen remodeling companies in their local area. Performing a search query for local companies allows homeowners to begin compiling a list of potential kitchen remodeling contractors. For example, searching for kitchen remodeling in Los Angeles may provide dozens of results. When using a popular search engine, the results may also include the contact information, web address, and customer reviews for the listed companies. Reading reviews from past customers helps homeowners compare some of the top remodeling companies in their area. While one or two negative reviews are common, companies that have a lot of negative comments may not offer quality work. Google and other search engines are not the only sources for finding local companies. Homeowners may also perform search queries through their favorite social media sites. Facebook and Twitter include search features for finding profiles and posts related to a specific query. Most modern companies and contractors have a social media presence. Their profiles may offer more details about their services and include comments from customers. There are many websites that offer directories and listings of local contractors and other professional services. Angie’s List is one of the most popular online marketplaces for professional services. These sites allow users to browse listings and read customer comments. The information included in these listings is often more detailed compared to the information included in an internet search. 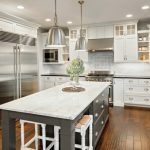 Homeowners may discover the range of services offered, availability, and other useful information about local kitchen remodeling companies. Along with the convenience of these directory sites, homeowners also receive security. HomeAdvisor and other directories typically conduct background checks on the contractors that pay to appear in the directories. Of the most popular online directories, Thumbtack is the only site that does not require contractors to pass a background check. However, they do allow contractors to submit to a background check and verification process to receive a badge on their profile. These badges let users know whether the contractor has been verified and checked. Several of these sites also provide additional resources for planning remodeling projects. Besides a directory of companies and contractors, Houzz offers remodeling tips and interior design photos. Friends, co-workers, and family are also good sources of information about local contractors and remodeling companies. Homeowners may know someone who has recently had work done on their home. Asking about the quality of the work and overall service could result in additional options. Besides close relations, there are other sources of referrals. Real estate agents and other contractors may offer trusted recommendations to those with whom they have worked. 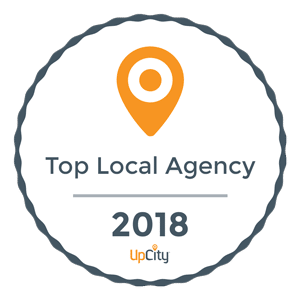 Real estate agents regularly work with contractors to improve the condition of homes and provide referrals to home sellers looking to boost property value. They are often more than happy to offer their recommendations to homeowners whom they have helped find homes. Contractors are also useful for providing referrals. For example, plumbing and electrical contractors often work with other professionals during remodeling projects. A complete kitchen remodeling project typically requires new plumbing for the fixtures and electrical wiring for the appliances. After receiving several recommendations, homeowners should begin contacting kitchen remodeling companies to receive price quotes. It is important to compare the quotes from at least three different remodeling companies to gain a better sense of the average cost. HomeAdvisor and other online directories provide a convenient way for homeowners to connect with professionals in their region. By creating an account, individuals can submit a request through the website and receive a response within 24 hours. Along with the price quotes, homeowners should ask for references and review their credentials and availability. These details and the price quotes should give homeowners enough information to begin narrowing their choices. There are dozens of ways to find kitchen remodeling companies and contractors in any region. However, the internet provides the most convenience. Homeowners can use search engines, social media sites, and online directories to find and compare the top companies. They can also receive price quotes without needing to pick up a phone. Looking for a Kitchen Remodeling Company Near You? Just Ask Us!